Project Grandma is a 1978 Chevrolet Malibu that was originally purchased by an elderly grandma in Pasadena. 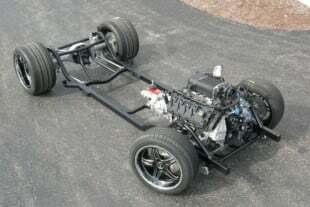 Now, it’s far from it’s original state as a full-on drag radial stock-suspension car. With a stock-body 25.5 chassis, 295/60/15 Drag Radials, a TCI Pro-X Glide, and a monster Big Block, this is one of the most complete G-Body builds that you’ll ever see.